(CBS News) Drinking alcohol during pregnancy is the leading preventable cause of birth defects and developmental disabilities in children, says the Centers for Disease Control and Prevention. But according to a new report, that's not stopping pregnant women from drinking. In the latest issue of its journal Morbidity and Mortality Weekly Report, the CDC investigates drinking rates among pregnant women, and finds about one in 13 pregnant women drink. Of those women, almost one in five reported binge drinking - having four or more drinks in about two hours - during pregnancy. The CDC says there is no known safe amount of alcohol or safe time to drink while pregnant. Researchers looked at self-reports on drinking habits from 345,076 women ages 18 to 44 years old who were a part of the Behavioral Risk Factor Surveillance System data pool collected from 2006 to 2010. Of these women, 13,880 - or 4 percent - were pregnant. Those who were most likely to report alcohol use during pregnancy were between the ages of 35 and 44 (14 percent of pregnant women), white (8 percent), college graduates (10 percent) and were employed (almost 10 percent). For comparison, 4.5 percent of pregnant women between 18 and 24 reported drinking. Women who said they engaged in binge drinking during pregnancy reported an average of doing so three times per month and with six drinks per occasion. Binging episodes were highest among 18 to 24-year-old pregnant women. Pregnant women who were employed were nearly 2.5 times more likely to engage in binge drinking compared with pregnant women who weren't employed. Unmarried pregnant women were three times more likely to binge drink than their married counterparts. "These results indicate that binge drinking during pregnancy continues to be a concern," wrote the researchers, led by the CDC's Claire M. Marchetta. The authors acknowledge study limitations, such as the data being self-reported and subject to biases, which can lead to understimates. The survey was also only given to people with landline phones, which may have skewed rates. The CDC says drinking while pregnant may lead to fetal alcohol spectrum disorders (FASD), which include fetal alcohol syndrome, alcohol-related neurodevelopmental disorder, and alcohol-related birth defects. Fetal alcohol syndrome is considered the most severe end of the FASD-spectrum, and may lead to problems with learning, memory, vision or hearing. 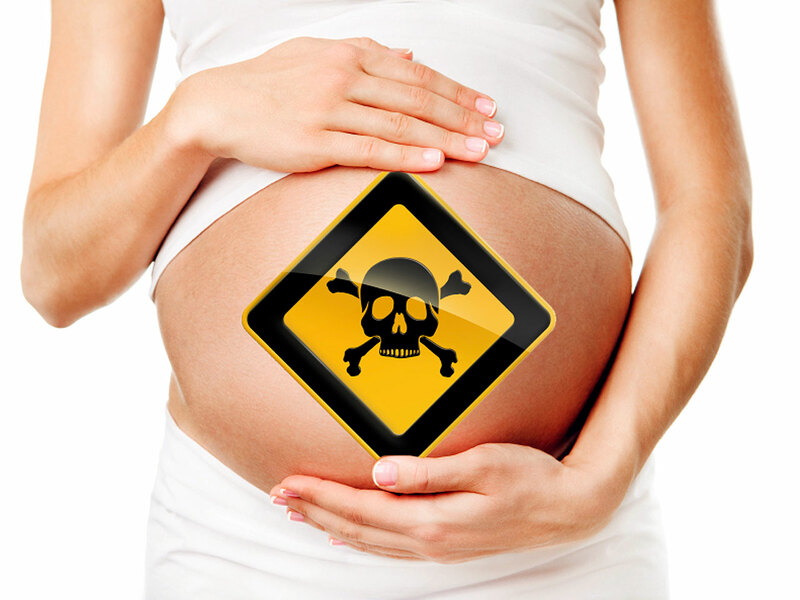 Drinking during pregnancy can also lead to fetal death. However In June, five Danish studies published in BJOG: An International Journal of Obstetrics and Gynecologyfound that low to moderate levels of drinking during pregnancy may not cause neurological or psychological damage to children by the time they turned 5. At time Dr. Jacquelyn Bertrand, a child psychologist and senior scientist at the CDC's National Center on Birth Defects and Developmental Disabilities - who co-authored three of the studies - said the research does not change the CDC's recommendation. "We have a long history that alcohol causes birth defects," Bertrand said in June, adding that low levels of drinking have been tied to risk for miscarriage, premature birth or stillbirth. "Drinking during pregnancy is just not worth the risk."